Known as the Harbour City, Sydney is the oldest, largest and most cosmopolitan city in all of Australia. In addition to being considered as one of the most beautiful cities to live in around the world, it has a lot to offer to its visitors. This iconic bridge is a great place to soak in the beauty of the city. If you are adventurous enough, consider booking yourself on a climb on top of the bridge that provides the best views of the city. You could also choose to run or cycle across or picnic under it during your time here. Another iconic structure in the city, visit the Sydney Opera House to watch some enchanting performances. This is the home of the 2000 Olympics that now houses sporting facilities and parklands for all to enjoy. This is a fun place to visit especially if you are travelling with kids. Spread over 30 hectares, you will be able to see over 7500 species of plants in this garden. Located in the north eastern corner of the city centre, these gardens provide great views of the Sydney Harbour. This natural history building is home to some of the most enchanting natural specimens dating back thousands of years. Explore the unique ecosystem of this country that continues to be a draw to tourists from around the world. The Taronga Zoo is home to animals that enjoy the best views in the world. In addition to this, you may also want to explore the Koala Park Sanctuary in the Outer West as well as the Sydney Aquarium in Darling Harbour. 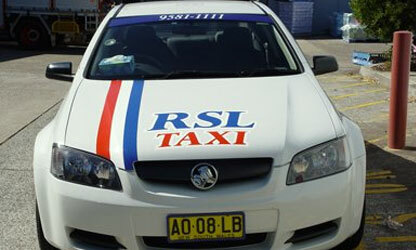 With a taxi company at your service at all times, getting around Sydney can prove to be extremely convenient.